The company was already the title sponsor of the U21 competition. Bord Gáis Energy are now on board as sponsors of senior inter-county hurling. FOLLOWING EIGHT YEARS as the title sponsor of the All-Ireland U21 Hurling Championship, Bord Gáis Energy were today announced as a new sponsor of the senior version. 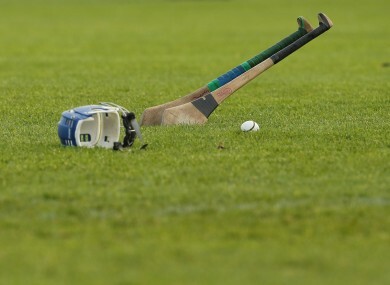 The company joins Centra and Littlewoods — who came on board before Christmas — as the GAA’s featured hurling sponsors. Etihad Airways and Liberty Insurance will not be involved in 2017, with the pair ending nine and five-year deals with Croke Park respectively. Bord Gáis Energy are already involved in a number of other sponsorship deals including the naming rights to the former Grand Canal Theatre in Dublin and the Irish Book Awards. Last year, BGE announced they would continue their sponsorship of the U21 hurling championship until the end of the 2020 season, the same year their new deal with the senior championship runs out. “This is a very proud day for everyone at Bord Gáis Energy and I would like to express my sincere thanks to all at the GAA and on the Bord Gáis Energy team who made today’s announcement possible. It really is a landmark day for our company. “Bord Gáis Energy have been a loyal and committed sponsor to the GAA for many years and we now welcome them on board as a sponsor of our showpiece hurling competition, the GAA Hurling All-Ireland Senior Championship. ““We’ve seen the transformative effect Bord Gáis Energy has had as sponsor of the U21 Championship. Email “Bord Gáis Energy named as new sponsor of the All-Ireland Senior Hurling Championship”. Feedback on “Bord Gáis Energy named as new sponsor of the All-Ireland Senior Hurling Championship”.